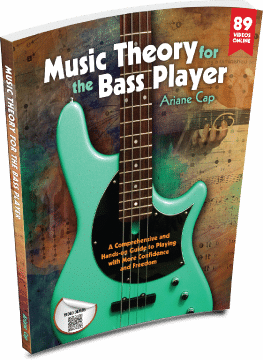 Get the book and theory wall chart and join the online course for bass players. Ari is an experienced educator, bass coach, and performer – explore this site for ways to learn from her. "I am currently enrolled in this course and have found it to be extremely beneficial. It is comprehensive and features a systematic approach, where each week’s new lesson builds on the previous ones. "I feel like I’m progressing with my understanding of music and how it relates to the Bass guitar. I look forward to practicing and am developing a more purposeful approach to practice. It seems like I am having breakthroughs every time I sit down with the instrument." Use the SEARCH BOX there to look for topics!